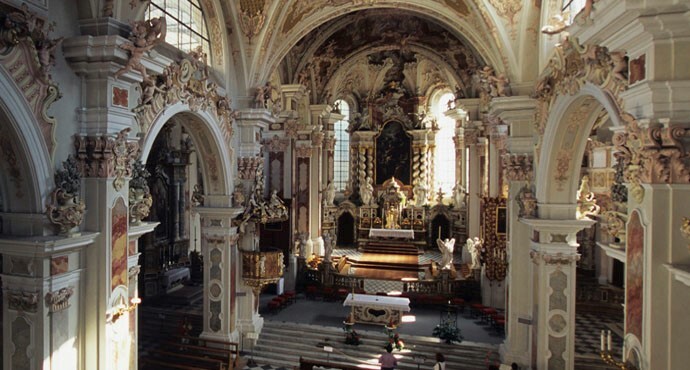 In any short list of Europe’s amazing places, the Abbazia di Novacella – aka Stiftskellerei Neustift – should hold a prominent mention. The abbey is historic: It was founded in the 12th century by a monastic order with a rule traceable back to St. Augustine. It’s also beautiful: Though many times sacked and occupied, even bombed in WWII, it has been lovingly restored to the peak of splendor it achieved in the mid-18th century. And it’s still alive, still a working monastery, performing all the pastoral tasks expected of such venerable establishments. Most amazing of all, I think, is that it largely supports itself by agriculture – including the making of some of the loveliest white wines in Italy, from some of the northernmost vineyards in the country. Located in the most northern reaches of Alto Adige, the Abbazia di Novacella sits far up the valley of the Isarco river, near its headwaters at the foot of the Austrian Alps. Eventually the Isarco flows down past Bolzano, where it joins the Adige, which in turn flows down past Verona, turns east, and enters the Adriatic just south of the gulf of Venice. At its start, up there under the shadow of the Alps, what is now called Alto Adige was for centuries the South Tyrol, and its language is still largely German. So too are the grape varieties that are cultivated on those high, sunny slopes – Kerner, Sylvaner, Veltliner, and Gewurztraminer. The last grape, despite its strong associations with Germany and Alsace, actually takes its name from the Alto Adige village where it probably originated: Terlano in Italian, Tramin in German. So production of distinguished wine has a long tradition in this region, and all the evidence points to the Abbazia’s equally long involvement with it. At the present day, the Abbazia achieves its greatest successes with grapes that don’t fare so well in other places. Sylvaner, an originally Austrian vine which in Alsace and Germany usually makes a fairly straightforward, ordinary wine, here yields a much more nuanced juice with nice hints of complexity and much more evident structure. Kerner, the Abbazia’s other most important variety, originated in Germany in 1929 as a deliberate cross between Schiava grossa and Riesling. Nowadays, it is the fifth most widely planted white variety in Germany, where – as far as I can tell – it is used mostly in blending. The Abbazia makes a varietal wine of it, and its top-of-the-line bottling regularly takes the highest awards from Gambero Rosso. Last week I tasted four of Abbazia di Novacella’s newest releases: the 2012 editions of Sylvaner, Syvaner Praepositus, Kerner, and Kerner Praepositus..
I’ll cut to the chase: All four were fine, and the two Praepositus wines – selections of the best grapes from the best vineyards – were fabulous. And especially fabulous for their value: The suggested retail price for the basic whites (take that “basic” with a large grain of salt) is $20, for the two Praeposituses (Praepositi?) $28. 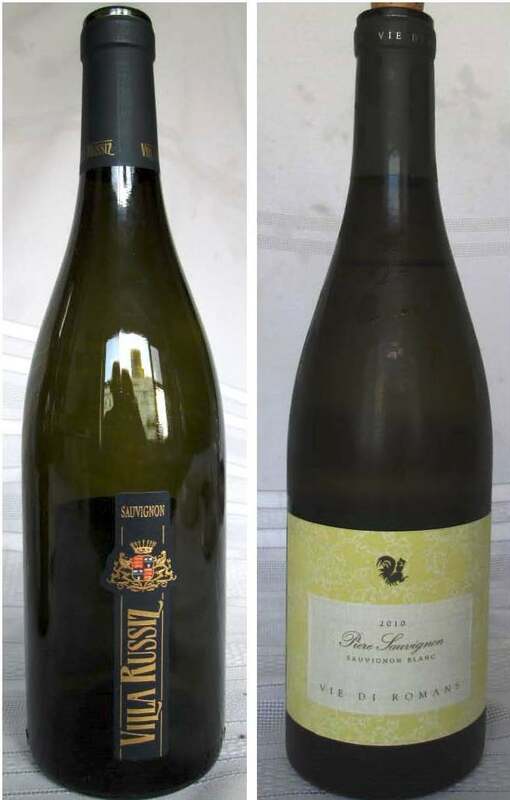 I am not alone in thinking the Kerner Praepositus one of Italy’s greatest white wines, and the 2011 Sylvaner Praepositus won Tre Bicchieri, so we are here talking about wines of the highest quality being offered at the price of some fancy-label plonks. The wines are imported by Skurnik, so at least here on the east coast they should be pretty readily available. Need I say more? 2012 Sylvaner: Forest floor (what Italians call sottobosco) aromas, plus flowers. Diane suggested also mirabelles, those delectable yellow plums so loved in Alsace. Nutty and floral palate. Excellent acidity, though still round in the mouth. Long-finishing. Very fine. 2012 Sylvaner Praepositus: Sottobosco again, and floral scents so strong as to seem almost overblown. On the palate, all the flavors noted above, with sapid minerality. Refined, elegant, round; very long-finishing. Medium body and lovely. 2012 Kerner: Floral, woodsy aromas, with a little diesel oil smell (that Riesling ancestry, I guess). Medium-to-full body, with wonderful acid/fruit balance and almost chewy sottobosco flavors. Lovely. 2012 Kerner Praepositus: Spicy nose, suggesting woodruff. On the palate, everything the basic wine showed but raised a notch or two, into an utterly smooth and elegant package. Just gorgeous. The Praepositus wines, it should be noted, will take a bit of bottle age and probably be the better for it. Certainly they lose nothing at five years old. These are wonderful wines that deserve to be better known, and I say that while ruing the fact that, once they are, the prices will probably rise. When journalism duty’s to be done, a writer’s lot is not a happy one. Many, many years ago, back in Mastering Wine, I described the difference between Chardonnay and Sauvignon blanc as Marilyn Monroe compared to Twiggy. That comparison is pretty dated now, for a lot of reasons. Most run-of-the-mill Chardonnays have gotten a lot more zaftig – not to say flabby – than they used to be, moving closer to Roseanne and Melissa McCarthy than Marilyn. Some Sauvignons have gone the opposite direction and become positively anorexic, grassy and herbal as a ruminant’s lunch. And some – especially New World Sauvignons – have plumped up (to put it kindly) and become fruit cocktails. Once upon that long-ago time, I was quite fond of Sauvignon blanc. When its grass and herbaceousness and cat’s pee flavors were moderated by some grapiness and the occasional taste of terroir, as was common then in Sancerre and other Loire valley Sauvignons, it could be a very elegant wine, useful in many dinner situations. I’m not sure, as time has passed, whether my palate has changed or the wine has, but the fact is that I haven’t these days enjoyed most Sauvignons. I found many of them extremely grassy and herbal, or at the other extreme so fat with oak and vanilla, that I simply couldn’t drink them. This may be just poor viticulture and viniculture – bad work in the field and worse in the cellar – but its consequences are that I had even begun to think of the grape variety as distinctly second tier, if not third. I hate to lose a wine: The world’s repertory of truly noble wine grapes is not so vast that we can spare any. 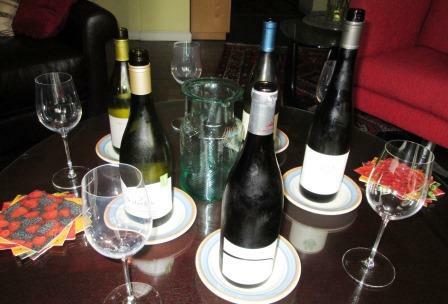 So I set out, in a modest, home-tasting way, to explore contemporary Sauvignon blanc. I tried a sort-of representative sample of Sauvignons from key parts of the winemaking world to see what, my prejudices and memories set aside, the present state of Sauvignon blanc truly is. 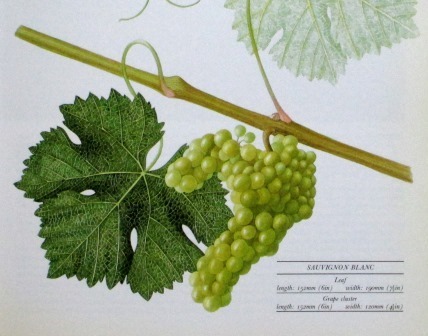 The most obvious thing about Sauvignon blanc nowadays is that it’s grown and vinified just about everywhere: Name an important or burgeoning wine area, and Sauvignon blanc will be there. That’s pretty surprising for a variety whose northern European origins – all the DNA evidence points to the Loire valley, which was its epicenter for most of its history – make it unsuitable for growing in particularly warm areas. On its home ground, it became a notable wine as Sancerre and Pouilly Fumé and later spread from the Loire to Bordeaux where it became an important component of both dry white Bordeaux and Sauternes. Pale straw. On the nose, Grass!!! and cat’s pee. Some mineral on palate, but very herbal/citrus. Long grass-and-something finish – gooseberry? Lean-bodied, but big with alcohol. Gets more citrus-y as it opens, but still for my palate an extreme wine – not unbalanced in the conventional wine-speak sense, but almost freakishly top-heavy with exaggerated fruit. Unfortunately for me, that kind of wine has become the model for most non-European Sauvignon, and probably is what most consumers now think Sauvignon is all about. But since that traditional style of Sauvignon blanc is the one I used to love, I tried to find out if anyone is still making it. So I turned back to France. 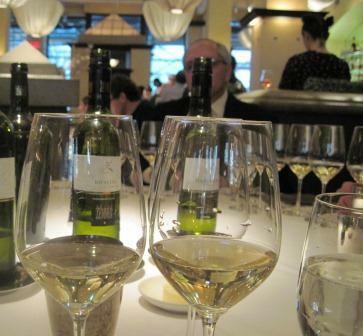 Again this wasn’t a systematic tasting, nor a wide one – but it was quite satisfying. The handful of wines I tasted – 2012 Francois Crochet Sancerre Les Perrois, 2011 Domaine Reverdy-Ducroux Sancerre, 2012 Pointe d’agrumes Touraine Sauvignon Blanc – all shared a restraint and balance that made them very successful dinner wines. None was strongly grassy – in fact I had to hunt hard in most to smell and taste grass – and all showed elements of terroir in their flavor – flint and wet stones, riding along with occasional citrus (grapefruit) notes. Home at last. Given my great passion for Italian wines, I naturally had to see what happened to Sauvignon blanc there. 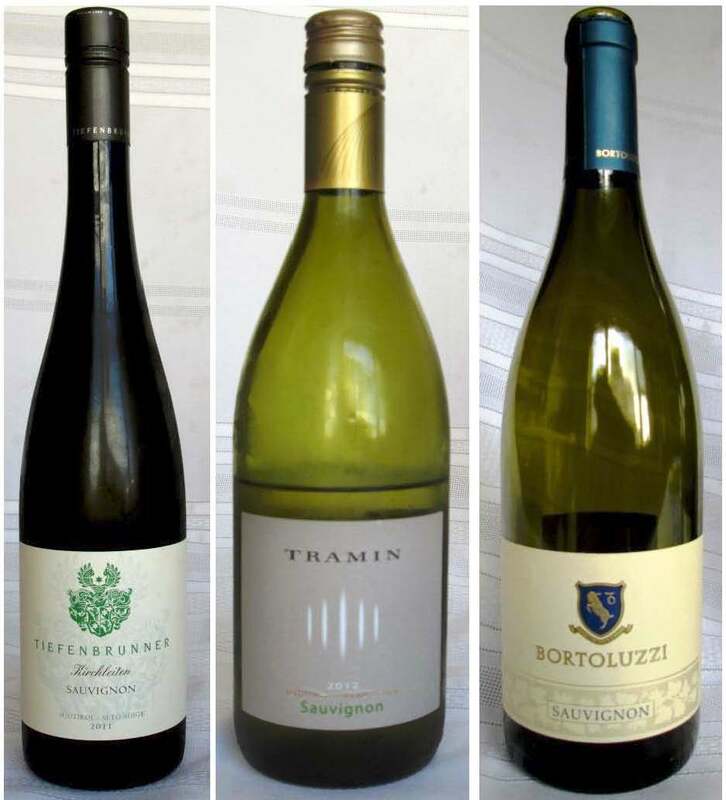 I tried several Sauvignons from northern Italy – Alto Adige, Venezia-Giulia, Friuli – all with some pleasure. The grassiness that I dislike was never as prominent as in New World wines – but I did find that the further west I went from Friuli the more it showed in the aroma, though rarely on the palate. So the 2011 Tiefenbrunner Kerchleiten Sauvignon and the 2012 Tramin Sauvignon (both Alto Adige) both gave a little grass on the nose while having more mineral-inflected notes on the palate. Both were fine with food. Bortoluzzi’s 2011 from Venezia Giulia showed much more mineral all through, and conveyed a nice hint of terroir. Once into Friuli proper, I found that Sauvignon blanc seems to have discovered a whole new home for itself. Producers like Villa Russiz and Vie di Romans are turning out balanced, restrained Sauvignons marked by strong minerality and gout de terroir, medium-bodied and conveying a round mouth-feel despite bright acidity. 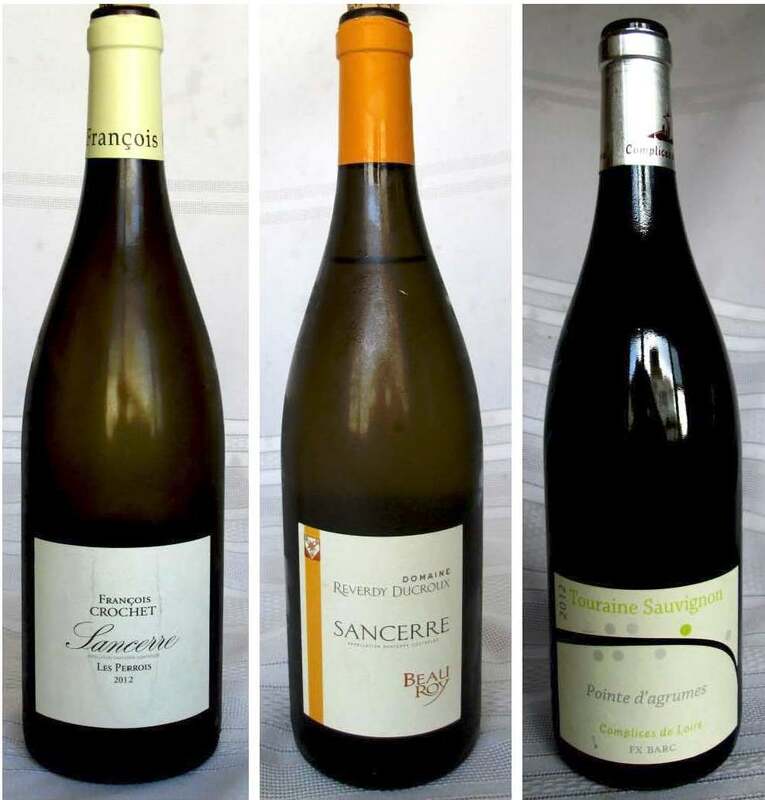 You would never confuse them with Sancerre or its kin – they offer a completely different style and flavor range – but these are wines that equally convincingly convey a sense of place, that they have found their place. Normally I am no fan of international grapes in Italy, but in Friuli Sauvignon blanc turns out to be a variety I can get enthusiastic about. I love a wine tasting I can walk to and from (“can” in all senses of the word! 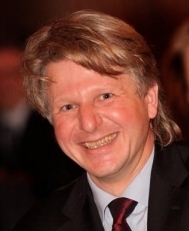 ), so I was predisposed to be pleased by an invitation to a small luncheon at Gotham restaurant, just two blocks from my door, to taste the wines of a new-to-me Alto Adige producer, Peter Zemmer. That the wines turned out to be excellent, and Gotham as fine as it has been for many years, made the occasion all the better. Peter Zemmer is a lively forty-something, the third-generation owner of this family estate that has vineyards on both sides of the Adige River just south of Bolzano – which, if your geography is shaky, is pretty far north in Italy, in the heart of what was known as the Sud Tirol when Austria owned it 100 years ago. The Adige valley is surrounded by steep hillsides, many covered by either precipitous or carefully terraced vineyards, while the valley floor is green with fruit orchards. Higher still, and snow gleams all year round in the sunshine. Zemmer’s vineyards lie between 250 meters and 800 meters high. They may be in Italy, but the climate bears greater resemblance to Alsace and Austria and Germany, and the wines it produces seem to amalgamate characteristics of all three. As you might expect from the cool climate and altitude, this is primarily white wine country. Not exclusively: Two of the locally popular indigenous grapes are red. Schiavo, the local favorite, Zemmer doesn’t grow, though he does cultivate a small amount of the more prestigious and complex Lagrein, along with tiny parcels of Cabernet Sauvignon (not tasted) and Pinot noir (very interesting, in a slightly stemmy, modestly green Alsace style). 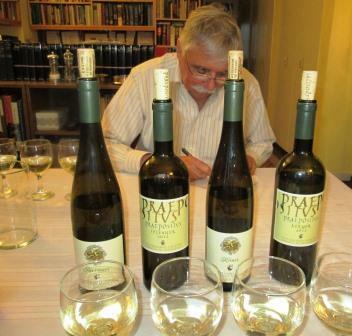 But Zemmer’s heart is in his white wines, and there his vineyards’ efforts are concentrated. We started the tasting with his 2010 Pinot grigio, a strikingly clean wine with slight pear and hazelnut aromas and flavors and a very long finish. The almost surgical cleanness and precision of varietal character in this wine served as a reliable prognosticator of things to come. All of Zemmer’s white-label wines shared this clear varietal focus. 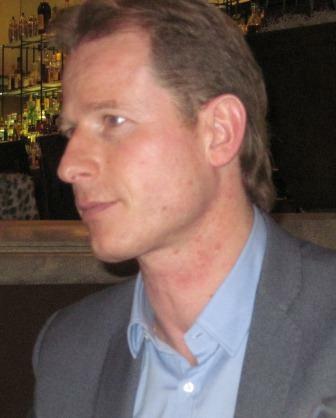 As he explained, that was what lay behind his label styles: the white-label wines are aimed at expressing varietal character, and the black labels on expressing terroir. Our tasting moved on to 2010 Riesling and a very recently bottled, almost-barrel-sample 2011 Riesling. The 2010 had a lovely floral and mineral nose and tasted of the same elements on the palate. Again, an intensely clean wine, very fresh, with a long peach and wet stones finish. The 2011 Riesling was the same but more so, a little peach in the nose, more on the palate, with perceptibly higher acidity that made it more supple and alive – a completely enjoyable wine, zesty and elegant. Zemmer explained that 2011 was for him a beautiful vintage, with dry lovely weather all through the growing season and harvest, producing very ripe, aromatic grapes. 2010 he described as “a medium good” year, warmer and yielding less elegant wines. The Rieslings were followed by 2010 Pinot bianco. The essence of this variety was perfectly captured: as the sportswriters like to say, he nailed it. Green apples and wet stones, a suggestion of slate, supple medium body, fine acidity, and that characteristic cleanness of outline, preceding a long, mineral finish – classic Pinot bianco. Nothing over the top – in fact, restraint rather than exuberance – but a delightful glass of wine. Zemmer closes all these wines with screw tops, which may detract a little from the elegance of their presentation but saves us all from the danger of corked wines. His experience assures him that the wines can live quite safely four to six years with no problems at all. I call that a good trade-off: I’ll give up a little glamor any time if it will guarantee my continued enjoyment. Many years ago, an astute critic described Ferrari spumante as the Rolls Royce of Italian sparkling wines. It still is. Crafted only from Pinot noir and Chardonnay, grown on very restricted soils, and given the full metodo classico cellar treatment, these wines are champagnes in all but name. And that is as it should be – champagne should come only from Champagne, in France: It’s a regional name, not a wine type, whatever common usage makes of it. Besides that, it really makes no difference what you call Ferrari – spumante, sparkling wine, Italian sparkler – because whatever you call it, it’s excellent. Ferrari is no johnny-come-lately Champagne wannabe. 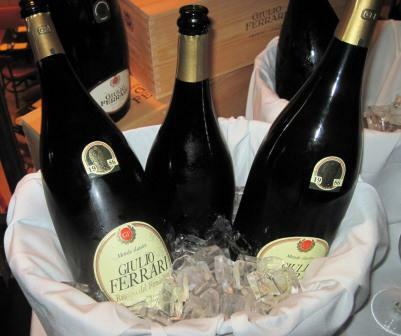 At a recent tasting in New York, lead winemaker Marcello Lunelli, a member of the family that has owned Ferrari for three generations, explained how over a century ago founder Giulio Ferrari went to France and undertook a careful investigation of the whole Champagne production process. Knowing the long-established Italian fondness for sparkling wines – all of them to that point made by what has come to be called the charmat method – he reasoned there would be a substantial place for a more painstakingly made, higher-quality product. He also thought that the high slopes and hillsides near Trento, with their sparse and strongly mineral-laced soils, would be an ideal place to plant the Pinot noir and Chardonnay necessary to make the kind of wine he envisioned. He was right on target with both ideas. They resulted, 90 years later, in Italy’s first DOC for sparkling wines, Metodo Classico Trento. Ferrari still leads the production of this category, both in volume and in quality. 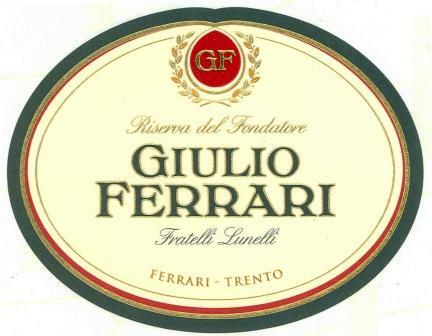 Lunelli guided a group of wine journalists through a five-bottle vertical tasting of Ferrari’s top-tier wine, Giulio Ferrari Riserva del Fondatore. The firm produces this wine only in the best vintages, of which there have been 19 to date – and every single one of them has won the prestigious Tre Bicchieri rating from Gambero Rosso. I wouldn’t claim for a moment that Gambero Rosso is infallible, but no matter how you regard it, that amounts to an impressive accomplishment and a striking testimony to the quality of this wine. 2001: This led off with a lovely, deep, wheaty nose. It was very rich on the palate, suggesting pears and apples in addition to that wheat. Fine lively acidity and a very long finish completed the package. Unmistakably an Italian wine – something about the quality of the acidity is the giveaway – from an excellent vintage. 2000: I confess to having been dubious about this wine from the outset, because 2000 was such a hot year and troublesome vintage all over Italy. Initially the wine was very attractive, a sort of fleshier version of the 2001, with a slight but very pretty almond taste in the finish – quite enjoyable. But an unpleasant sulfur scent came up as the wine opened – “burnt match,” as the person seated to my left accurately described it. This was the one in-any-way flawed wine of the group. 1995: All peach leather and almonds, especially in the finish, this wine was still quite live and very, very pleasing, tied with the next one for the best wine of the day. A long growing season developed the depth of this wine. The harvest was a full three weeks later than normal, Lunelli said. 1986: To my surprise, this 25-year-old was even more live than the 1995. Its fruit flavors are just starting to mature, moving more into the fruit leather range than fresh fruit. The very long-lasting finish had the richness of fresh toast slathered with butter. Very Chardonnay, very Champagne-like. This would have been an impressive showing for any sparkling wine, but when you remember that these wines are all 100% Chardonnay, it raises the accomplishment even higher. This isn’t bubbly for pouring on the heads of the winning team: This is a superb wine to grace your most ambitious holiday dinner. 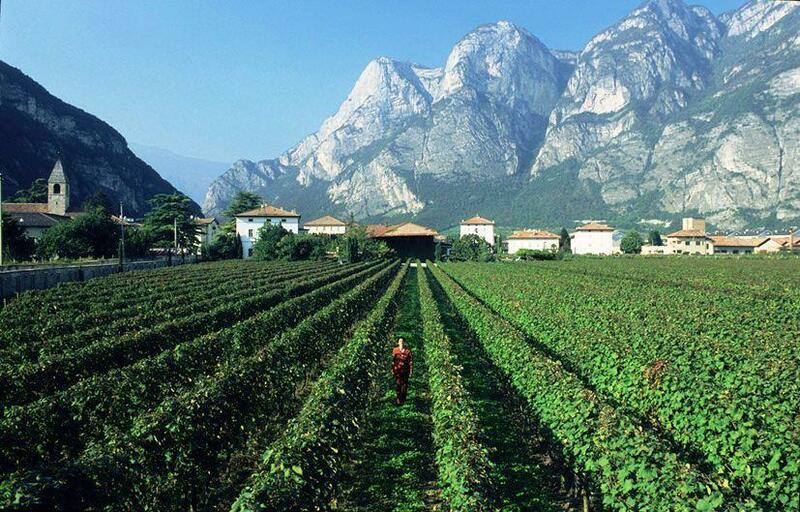 Completing the story of Trentino-Alto Adige’s revived success with red wines. 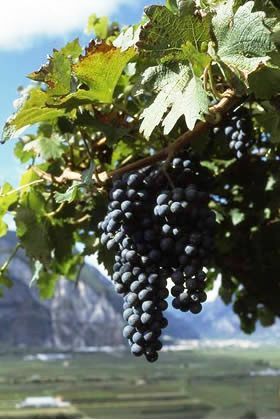 Market pressures have pushed many Trentino-Alto Adige growers to try their hands at international varieties, as well as their indigenous grapes, and they are making an abundance of varietal Cabernet, Merlot, and Pinot nero, as well as a goodly number of blends of those grapes with each other and indigenous varieties. Most of those are, to my palate, up to international commercial standards and in fact in many cases indistinguishable from more famous versions of the same sorts of wine. This is, I suppose, praise of a sort, if you come to wine seeking the same sort of consistent taste you find in Pepsi Cola or Bud Lite. 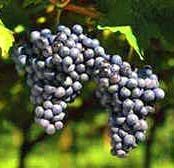 Pinot nero is the one international variety that seems thus far to have really made a place for itself here by producing distinctive wine. 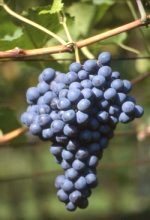 Pinot nero as a variety has probably broken more winemakers’ hearts and bank accounts than any other. While its best products are marvelous, in most places it just doesn’t deliver. It shares an intense site-sensitivity with this area’s indigenous varieties – of which it may well be a distant ancestor. 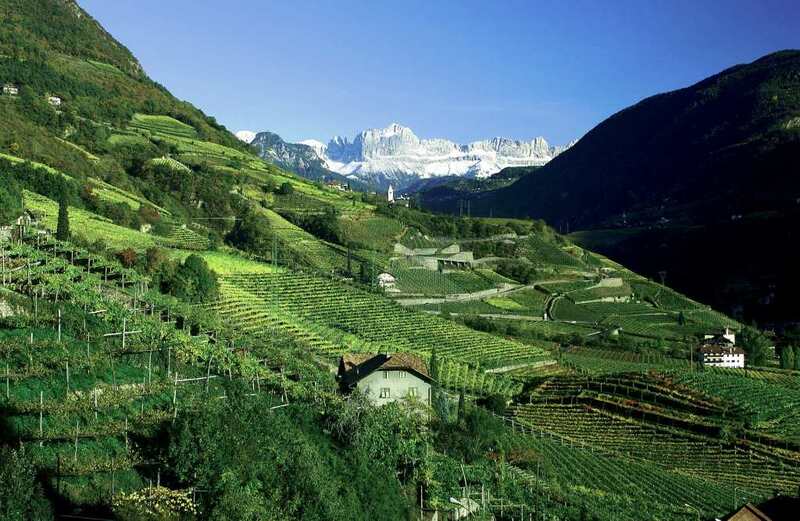 On the high, cool hillsides of Alto Adige it has found a microclimate and a set of soils that suit it, and it has started to make very interesting, almost-Burgundian style wines, with a fine combination of delicacy of flavor and structural strength. 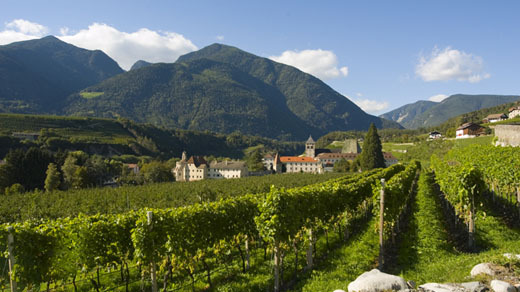 The following is a highly subjective selection of Trentino-Alto Adige estates and their most interesting red wines. The Alto Adige labels seen in this country are usually in Italian, but I have also given their German names in parentheses. Abbazzia di Novacella (Stiftskellerei Neustift): an ancient, still active abbey (a beautiful place to visit), and the northernmost winery in Italy; primarily whites, but nice Lagrein from the Bolzano area. Caldaro (Kaltern): a co-op most of whose vineyards lie within sight of Lake Caldaro (Kalterer See); the cool climate and moderate temperature range, regulated by the large lake, yields good Schiava, Lagrein, Pinot nero, and even some Cabernet. Cantina Bolzano (Kellerei Bozen): an amalgamation of two long-established co-ops, Santa Maddalena and Gries; excellent Lagrein, good Pinot nero. Cavit: a large firm based in Trentino; good basic IGT Teroldego under the Cavit label and a fine prestige bottling DOC Teroldego under the Bottega Vinaia label; also a small amount of Trentino Lagrein. Colterenzio (Schreckbichl): The most progressive and possibly the best of Alto Adige co-ops, producing excellent Pinot nero and Lagrein. Endrizzi: newish Trentino producer making fine Teroldego. 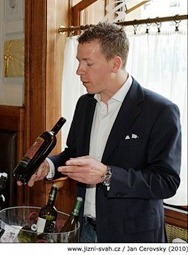 Foradori: top Trentino producer of Teroldego in several bottlings – Teroldego Vigneto Morei, Karanar, Granato. The Granato in particular has been getting a lot of serious attention and racking up honors and high scores in Italy and America. Girlan: another fine Alto Adige co-op making enjoyable red wines at several price levels; surprisingly fine old-vine Schiava, plus very good Lagrein and Pinot nero. Hofstätter: an excellent privately owned firm (cousins of Trentino’s Elisabetta Foradori); really nice Pinot nero, good Lagrein. They have vineyards on both sides of the Adige near the town of Termeno (Tramin, from whence Gewuztraminer is supposed to originate: your factoid for the day). Lageder: probably the leading winery in all of Alto Adige; a complete line of white wines plus first-rate Pinot nero and Lagrein. Manincor: an up-and-coming, committed biodynamic house; nice Schiava and Pinot nero, several interesting blends (indigenous and international varieties). Mezzacorona: a conglomeration of growers, centered in Trentino, but with properties in several different wine zones; good Pinot nero and Teroldego, and a small amount of Marzemino under the Castel Firmian label. 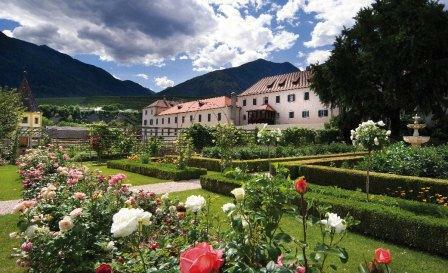 Muri-Gries: a centuries-old Benedictine monastery, practically within Bolzano city limits; it is rapidly becoming a specialist in Lagrein, making a rosé, a regular bottling, and a fine riserva Abtei; also Moscato rosa. Terlano: a fine co-op, primarily a white wine house, but also making Lagrein and Pinot nero. Zeni: a Veneto firm with vineyards in Trentino; excellent Teroldego. The red varieties most often planted here seem to result from a convergence of tradition, local preferences, and just plain market pressures – the latter omnipresent in the wine world. Happily, tradition remains powerful here, and the region’s growers are making concerted efforts not just to preserve but to exploit their native varieties. Schiava remains the odds-on regional favorite. Even though it has lost vineyard space (largely to newly popular white varieties), it still fills about 40 percent of the usable acres in Alto Adige – less in Trentino, but even there it is still a serious presence. Most of the wine produced from Schiava is consumed locally, but it is inching its way into the international market. I heard from more than one producer that chefs love it, and that Wolfgang Puck in particular (who may well have grown up drinking it in nearby Austria) keeps it in his restaurants. Its local popularity is very understandable: it’s an easy wine to like – usually light, fresh, with pleasant fruit, light tannins, and good but not obtrusive acidity. In Alto Adige, it’s called a “tavern wine”: it matches beautifully with the local specialty smoked meats, especially speck, a kind of lightly smoked, air-cured bacon. Sliced paper thin and served with some Tyrolean brown bread, and accompanied by a glass of Schiava, speck makes a great light lunch or afternoon snack, and the marriage of flavors guarantees the continuing local loyalty to Schiava. To an outsider, the natural, almost unavoidable, comparison is of Schiava to Beaujolais, to which it has many similarities, as much in its lightness and pleasing acidity as in a slightly strawberry flavor and an ability to partner happily with many different foods. In fact, it seems Schiava’s only real problem is living down its past, when it was overcropped and carelessly vinified – a situation that is not likely to recur in this now-intensely-quality-conscious region. 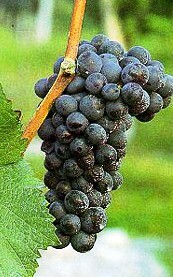 Far behind Schiava in local popularity, but far ahead of it in the producers’ esteem, is Lagrein, another indigenous variety. It makes a substantial, dark wine, with deep flavors and a persistent, enjoyable rustic burr. Wolfgang Raifer describes it as an “earthy, meaty, peppery, dark-red-berried grape” that matches perfectly with game – “especially venison and mushrooms.” Lagrein was long neglected – probably because it is a very difficult grape to grow. Teroldego, apparently just as site-sensitive as its cousin Lagrein, produces best in a very circumscribed area known as the Campo Rotaliano. 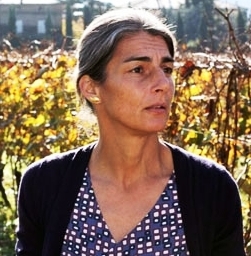 Elisabetta Foradori, one of the best makers of Teroldego, describes its home as a “stony alluvial plain whose soil is composed of limestone, granite, and porphyry debris.” This is one of Teroldego’s chief peculiarities: a rarity among noble grapes, it prefers to grow in the flats rather than on the hillsides. Certainly a wine that deserves to be better known, Teroldego when young shows the same sort of softness and earthiness that most of us associate with fine Merlot: that’s what moved Burton Anderson, decades ago in his pioneering book Vino, to compare Teroldego to Pomerol. As it ages, it develops pretty much like claret: fruit begins to step back, and more mushroomy, tobacco-y flavors start to come forward. Elegance replaces vigor as the wine gains depth and complexity. Teroldego probably won’t attain the great age of the finest clarets, but decent vintage bottlings should easily last ten years and more, and be enjoyable drinking at any point along the way. Marzemino is the other indigenous red grape of this area. A probable relative of both Lagrein and Teroldego, it is by no means as geographically confined as either – and neither is it as interesting or as important. A few very small growers here and in other, exclusively northern, parts of Italy have made small quantities of very good though light-bodied wine with it, but for now it has to be thought of as still in the exploratory stage. The conclusion of this saga will appear in the next post. Ski runs and red wines rarely share the same slopes, but they come very close to doing just that in Italy’s northernmost region, the in-many-senses-hyphenated Trentino-Alto Adige. The Alto Adige half sports a higher percentage of vineyard acres bearing DOC designations than those of any other region in Italy – and yet its entire wine production amounts to less than one percent of the Italian total. The Trentino half shelters one of the few noble red grapes – the ancient Teroldego – that actually performs better in the plain than on the hillsides. The region as a whole regularly garners more top wine awards within Italy than far better-known regions such as the Veneto or Friuli – and many of those awards are for red wines. Schiava and Lagrein, Teroldego and Marzemino may not tumble smoothly from your lips, but the relevant news is that the wines they yield will slide agreeably across your palate. Throughout the region, fine individual winemakers – Foradori, Lageder, Manincor, and Tiefenbrunner just for a few examples – work alongside giant firms like Cavit and Mezzacorona that have carried the region’s wines around the world. Surprisingly, many of the pioneers of quality winemaking here have been cooperatives, such as Colterenzio, Cortaccia, Girlan, Produttori Bolzano, Terlan, and Tramin – just to cite some prominent ones. In most other places, cooperatives do more in the way of quantity than of quality, but that is emphatically not the case in Trentino-Alto Adige. The ancient Romans thought of this area as foreign territory, Cisalpine Gaul: Gaul this side of the Alps. For centuries, a chunk of it was the Sud Tirol, an important fraction of the Austrian Empire. After World War I, that was ceded to Italy and became the northern half of the hyphenated region Trentino-Alto Adige. Culturally and geographically, this is where Germany runs into Italy, where the continental climate merges into the Mediterranean, where palm trees and olives grow in the valleys, pines murmur in the middle elevations, and snow and bare rock adorn the heights. 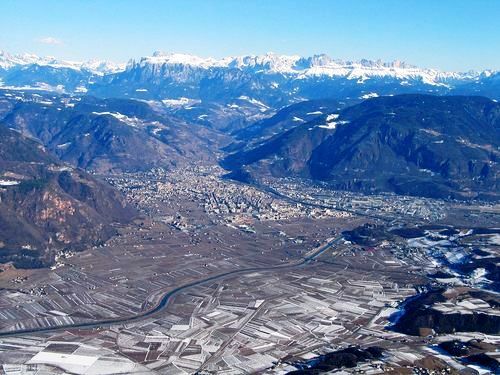 Bolzano, lying where the Adige and the Isarco rivers join to form an elongated Y of orchard- and vineyard-lined valleys, suffers some of the widest temperature extremes in Italy, often among its hottest spots in summer and its coldest in winter. That's Bolzano in the center of the picture, huddled at the feet of its mountains and the confluence of its rivers. 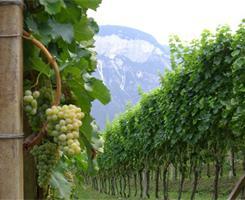 In recent years, the region has justifiably become famous for its white wines. 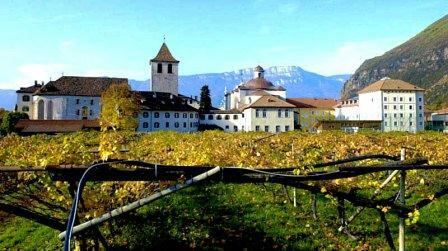 But in fact, Alto Adige had a reputation for red wines long before it found any vocation for whites. Throughout the 19th and early 20th centuries, up until the end of World War I, Alto Adige grew Schiava (then called Vernatsch) and Lagrein almost to the exclusion of other varieties. Schiava was extremely popular and was planted practically everywhere. It made a light red wine, which was often bolstered by small additions of the darker, heavier wine made from Lagrein. All were shipped north and east, to Germany and Switzerland and Austria, where red wines rarely happen and anything with a tinge of color – which was often all Schiava had, so heavily was it overproduced – was happily drunk. Trentino in dark pink, Alto Adige in light pink; Austria above. After WWI, the region became a pronouncedly bilingual hunk of Italy. Today, Alto Adige is essentially autonomous and largely German-speaking: the farther north you get from Bolzano, the more German the culture becomes. A few miles south of Bolzano, you cross an invisible political and linguistic border into the more typically Italian region of Trentino. Here the valley broadens out, and the mountains recede a bit more into the distance. The climate moderates, becoming more recognizably Mediterranean than Alpine. Here, the native red grape is Teroldego, and a fine one it is – possibly related to Lagrein, definitely related to Syrah, perhaps even a grandparent of that French variety. This is first of several posts to be based on a trip to Alto Adige and focusing primarily on the too-often neglected red wines of the region.